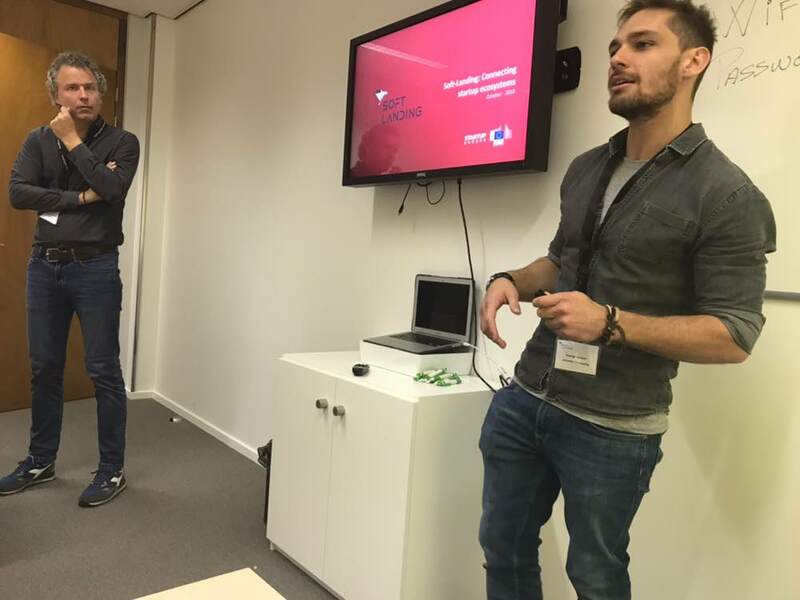 Mentoring, pitches and water taxis: read about our FinTech mission to the Netherlands! From Monday the 15th until Friday the 19th of October, Crosspring organized a soft-landing mission focused on FinTech in The Netherlands. 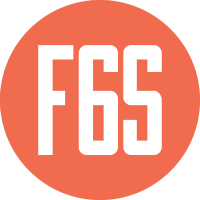 Starting Monday the 15th with seven FinTech startups and adding seven ecosystem builders on Wednesday, we’re looking back at a very successful FinTech soft-landing week! On Monday the 15th we’ve welcomed seven FinTech startups, Rundit (Finland), Hokocloud (Cyprus), JetBeep (Ukraine), WeGroup (Belgium), ZuperBank (Germany), GiniMachine (Belarus) and Infinity Mobile (Belgium) at the Crosspring office for a welcoming session to get to know each other and the idea or business of the startup. After this welcoming session we’ve set them up with different mentors for mentoring sessions. During these mentoring sessions they received direct feedback on their concept, idea and business model. Tuesday was another day full of mentoring sessions at the Crosspring office. We made sure they were paired up with mentors who could help them further and tell them all about their experiences. Direct feedback from people who know the business, the field and the way to go about it is most valuable for startups. From two o’clock until three we had a short break, with a workshop from Ton Krol of Blue Clue Tax on how to build a business in The Netherlands. 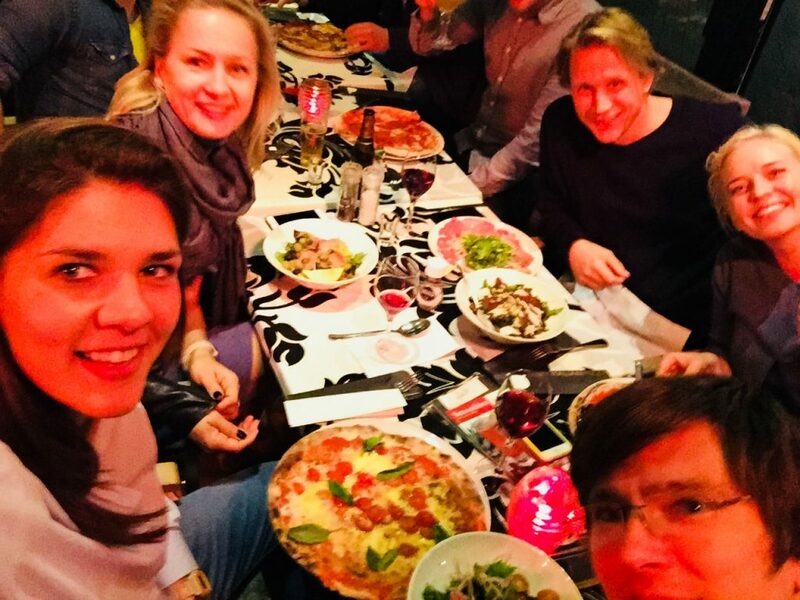 We ended the day at one of the best restaurant in Zoetermeer, also celebrating the birthday of one of the startup participants. Cheers! On Wednesday we ‘added’ seven FinTech ecosystem builders to the group of startups, starting with a welcoming session and networking, getting to know each other and seek possible collaborations. We welcomed Selim Yazici (Founder FinTech Istanbul, Turkey), Povilas Steikunas (Blockchain Centre Vilnius, Lithuania), Renata Šumskaitė (Head of Rise Vilnius, Lithuania), Angel Angelov (Managing Partner GarGarage, Bulgaria), Gonçalo Faria (Open Innovation Director, Beta-I, Portugal), Iva Rakocevic (Advisor, Dynax Invest, Austria), Stephan Steynfaardt (CEO, WeAreMonsters, South-Africa). A group of amazing ecosystem builders, with different knowledge and fields of expertise. After some networking, Basecone presented their success story with the group. Basecone is a successful startup that was eventually acquired by Wolters Kluwer. 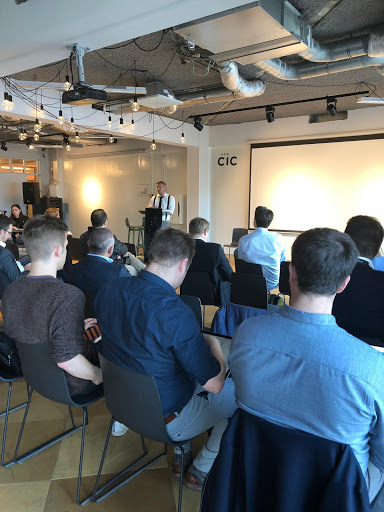 On Wednesday afternoon we organized a ‘Zoetermeer FinTech Meetup’ with Holland FinTech at the Dutch Innovation Factory in Zoetermeer, where the participating startups pitched their product to an audience of entrepreneurs, FinTech influencers and interested professionals. After their pitches it was time to network with the participants, visitors and ecosystem builders. 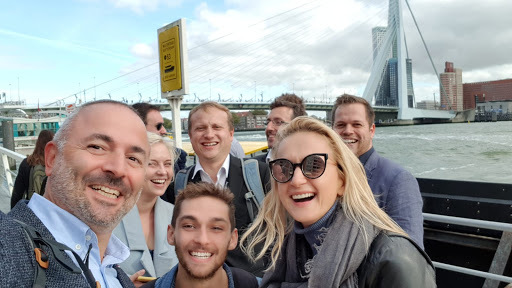 Thursday we went to the beautiful city of Rotterdam to visit some very interesting companies and to listen to talks from people who are active in the FinTech startup scene. We started at the Erasmus Centre for Entrepreneurship in Rotterdam with a tour of the building and visiting some interesting startups that are established there. 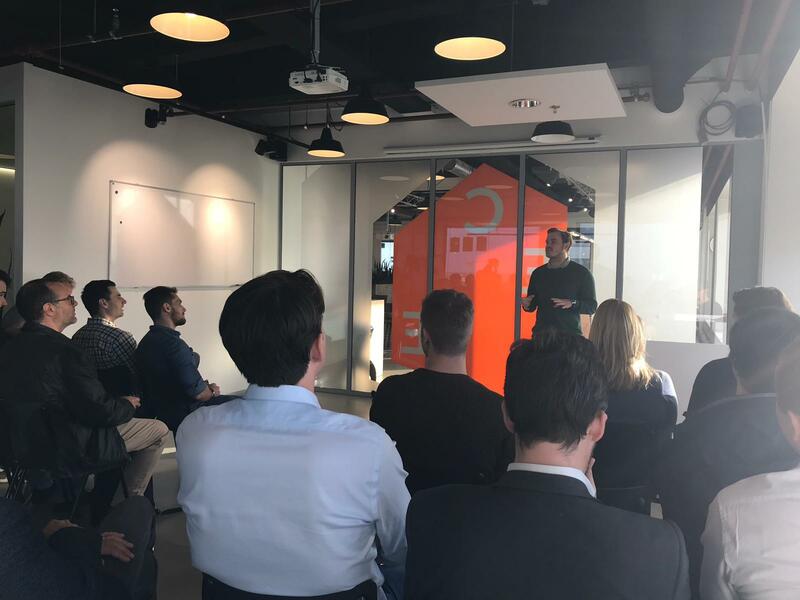 After the tour, Hugo Bongers, Innovation Director at ABN Amro Digital Impact Fund , gave us a presentation about how investors look at startups, what they are searching for in a startup and how the investment scene works in The Netherlands. After Hugo, Jeroen Bontje from Symbid gave us all the insights on the growth of his company and also (very important) the things that did not go well in that process. It was refreshing to hear that things don’t always go as planned, the struggles that come along the way and also how eventually Symbid became a strong company. 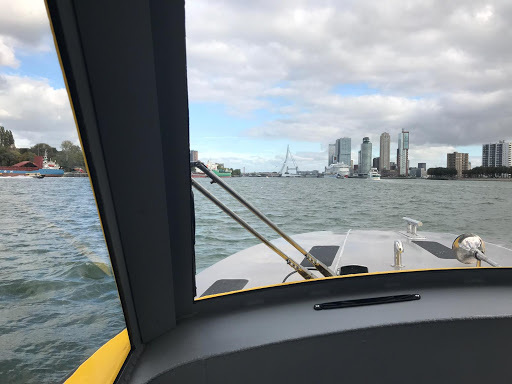 We took the water taxi (you have to do this when in Rotterdam!) from ECE to the centre of Rotterdam and moved to the office of Nauta Dutilh, one of the best international law firms in the Netherlands and true experts in FInTech regulations. They gave an in-dept presentation about FinTech regulations, while overlooking the city of Rotterdam from the 32nd floor, overlooking the city of Rotterdam. The Cambridge Innovation Centre also has a location in Rotterdam, so of course we had to end our day there. Marcus Fernhout presented the idea of CIC and why he started it in Rotterdam to the group, followed by a presentation on how to structure your business legally by Briddge. Then it was time to explore Rotterdam and have dinner. Friday morning started at RVO where we’ve had presentations about RVO, StartupDelta and Horizon 2020. All initiatives supported by the government to stimulate growth for startups. After a few presentations, RVO, Maurice Beckand Verwee (founder Crosspring) and Johan Stins of Innovation Quarter held a short panel discussion on investing in startups. We ended our last soft-landing day at the 17th floor of RVO with a lunch, overlooking the entire city of The Hague. We were very lucky to have such a fantastic group of startups and ecosystem builders visiting our country and having the possibility to guide them through the Dutch ecosystem. It gave some very interesting insights on how other ecosystem view FinTech, how ‘far’ they are when it comes to technology and how we can support other ecosystems. For startups is very valuable to come to The Netherlands for a soft-landing project, to see if The Netherlands is in fact interesting to start a business. It’s really important for them to know how the ecosystem works, what legal actions have to be taken to start a business here and how they can receive support from governments, local initiatives or business angels. For ecosystem builders it’s important to know the establishment of the ecosystem here, so they can bring new information, take information for their ecosystem back to their country and we can see how we can combine ecosystems, work together and strengthen each other. A lot of high energy came from this group and we were very lucky to have such a successful soft-landing mission! Thanks to the participating startups Rundit, Hokocloud, JetBeep, WeGroup, ZuperBank, GiniMachine and Infinity Mobile and Selim Yazici, Povilas Steikunas, Renata Šumskaitė, Angel Angelov, Gonçalo Faria , Iva Rakocevic, Stephan Steynfaardt. We would also like to thank these organizations for their valuable contribution to the soft-landing program: Blue Clue Tax, Holland FinTech, Basecone, Syfers, Holland Fintech, Dutch Innovation Factory, ECE, Symbid, ABN Amro, Nauta Dutilh, CIC, Briddge, RVO, StartupDelta and Horizon 2020.